According to research from the Stillbirth Collaborative Research Network, umbilical cord accidents account for around 10 percent of stillbirths. While people often assume that the deaths are caused by accidental strangulation, they are most often the result of a sudden disruption of the blood supply to the baby. The umbilical cord contains one vein and two arteries and is responsible for supplying the baby with oxygenated, nutrient-rich blood from the placenta. Accidents can occur when the cord is either damaged, ruptured, or compressed. When this happens, the oxygen supply can be severely impaired. Unless the problem is quickly resolved, asphyxiation, brain damage, and even death can result. If there is too little amniotic fluid in the gestational sac, the cord can get compressed between the baby and the wall of the uterus. If there is too much amniotic fluid, the umbilical cord can rush out in advance of the baby when the water bursts and become prolapsed. If the umbilical cord is abnormally long, it was become knotted. Multiple births can crowd the uterus and increase the risk of compression. A baby situated in a foot-first breech position can compromise the umbilical cord by twisting it unnaturally. A potentially life-threatening condition called vasa previa occurs when one or more blood vessels in the umbilical cord cross the entrance to the birth canal beneath the baby. When the cervix dilates, the blood vessels can become compressed or rupture. For all of the reasonable concern one might have about an umbilical cord accident, they are actually quite rare. This is because the cord is filled with a slippery substance called Wharton's jelly which surrounds and cushion the arteries and vein. So, generally speaking, when something presses onto the cord, the vessels inside are able to slip out of harm's way, rather like a wet bar of soap in a tight grip. Fetal hyperactivity, jerking, or hiccups (occurring daily and more than four times daily) is associated with an increased risk of cord compression. Umbilical cords which lack a twisted, rope-like appearance are often indicative of an increased risk of mortality. Women who have conceived via in vitro fertilization (IVF), are expecting multiple babies, or have placenta previa (a condition in which the placenta covers some or all of the cervix) have an increased risk of vasa previa. 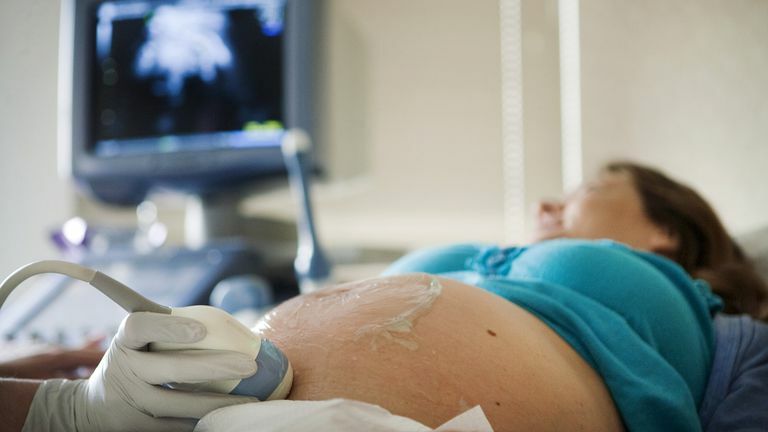 While some of these conditions may be detected during routine prenatal care, others (such as fetal hyperactivity) may require an ultrasound to identify any possible abnormalities. If detected, hospitalization may be recommended to monitor the baby for at least 24 hours with both an ultrasound and a fetal heart rate monitor. Collins, J. "Umbilical cord accidents." BMC Pregnancy Childbirth. 2012; 12(Suppl 1): A7. Stillbirth Collaborative Research Network Writing Group. "Causes of death among stillbirths." JAMA. 2011; 306(22:2459-68.